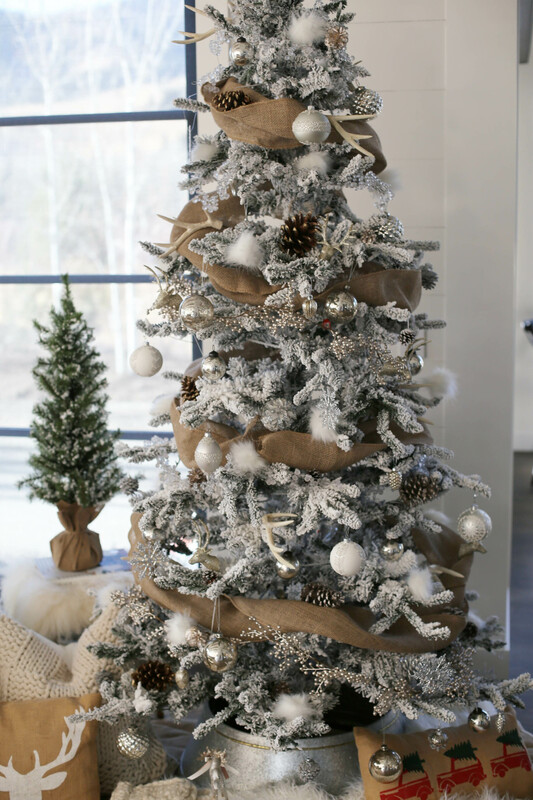 I’ve paired this post with an IGTV video explaining how I styled the tree and a closer look at this beauty. Head over to my Instagram to check it out! 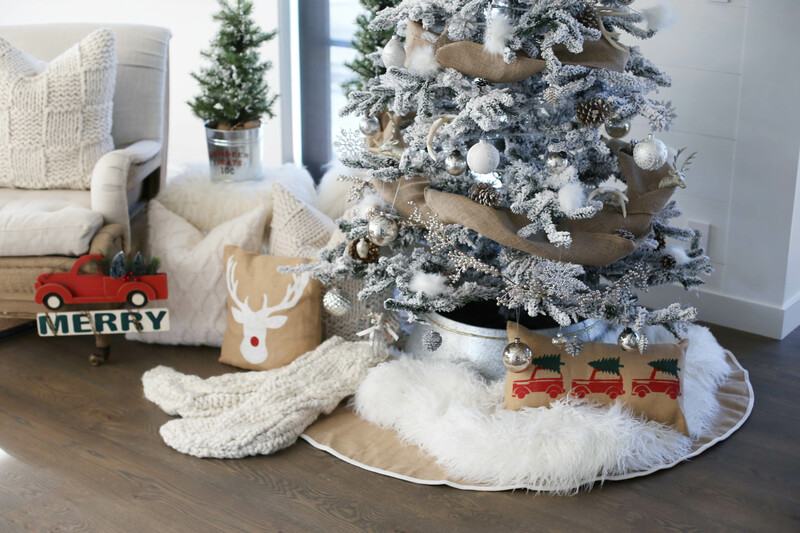 When putting together any tree, there are TWO main foundational items that set the style: tree holder and skirt. 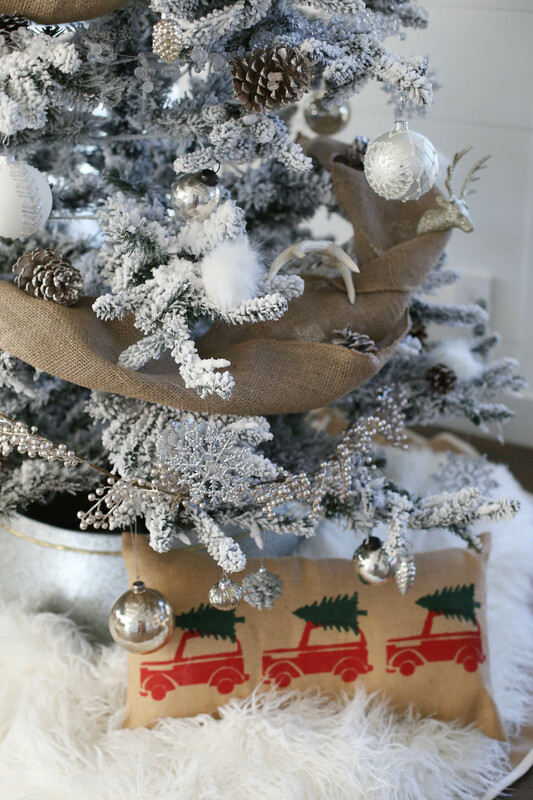 To achieve the farmhouse look, I went with a burlap tree skirt and galvanized tub – option 1 & option 2 . Both are classic country options. Next up, I added in a cozy element, per usual, with a faux fur throw. Now that the base was set, I put my pre-lit white faux tree in place. I purchased this 7.5″ beauty last year as I wanted to try out a new look. Here’s a link to a similar option ($393) or see below for a bunch more. Don’t worry y’all, I’m still about the REAL deal, and plan on getting a spruce. Luke and I may even get a permit and go chop one down ourselves… stay tuned! 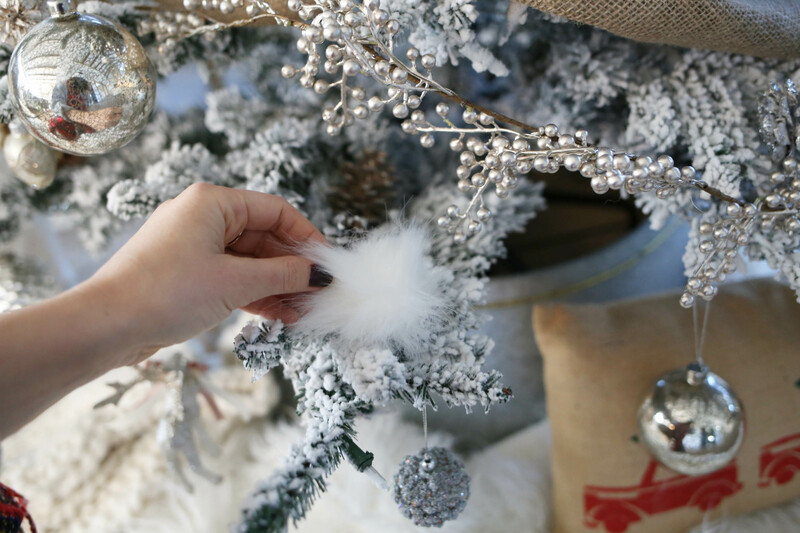 Let’s get to decorating! Before getting into it, make sure you have a theme selected. 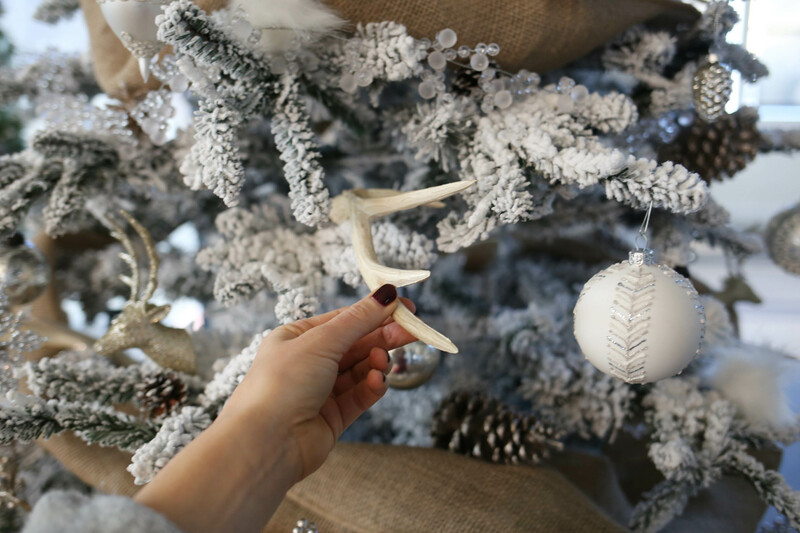 This will help you stay focused when picking out decorations. 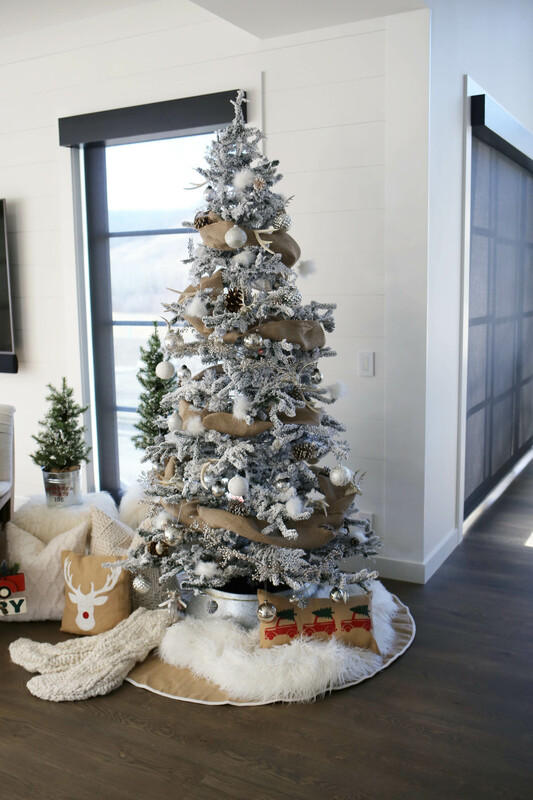 For example, I used 4 different decor items to style out my tree: burlap ribbon, berry garland, neutral picks and various metallic ornaments. 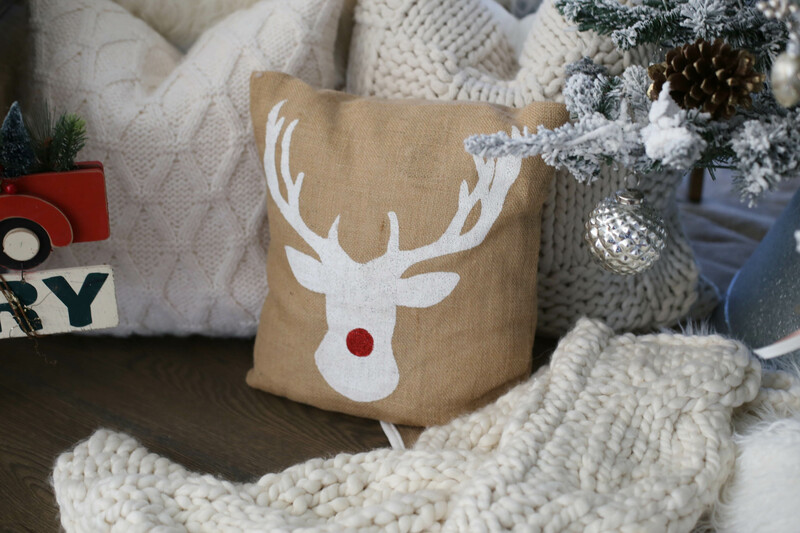 All of these goodies are in-line with the farmhouse country Christmas theme. 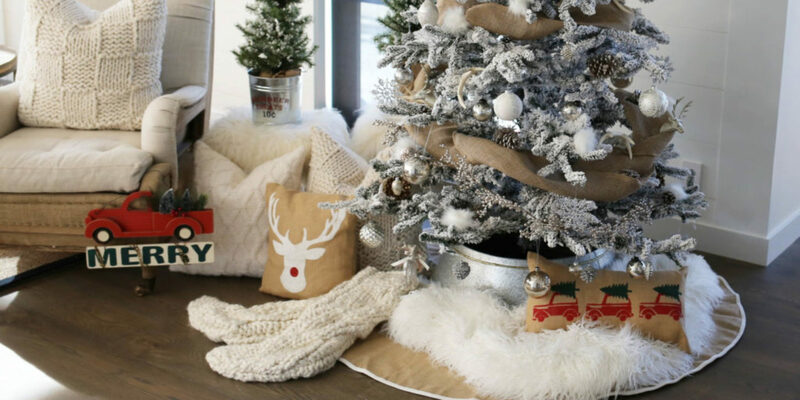 Keep it simple and remember, don’t overwhelm your tree with too many items. I think it’s important to still SEE some of the branches. 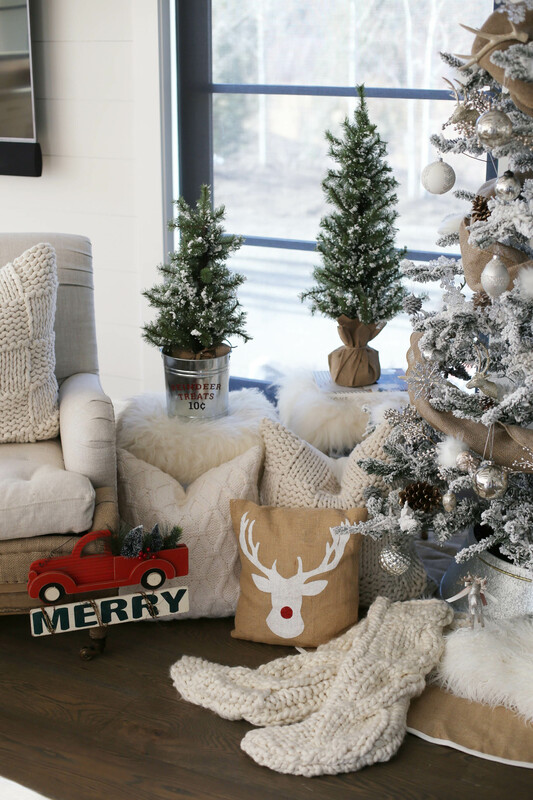 Below are links to all of my decor and numerous faux tree options. 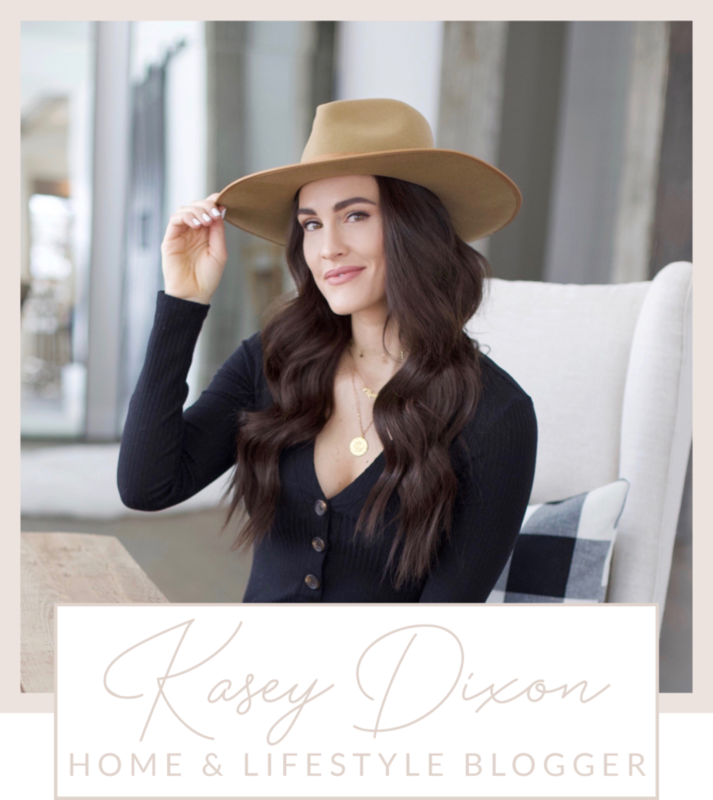 Leave a comment if you have a question. 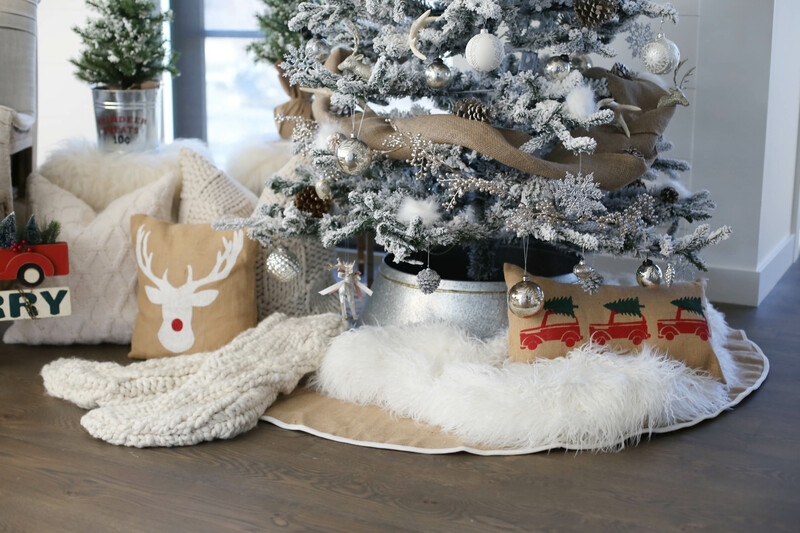 I will be posting more of my modern farmhouse Christmas decor in the coming weeks – stay tuned! 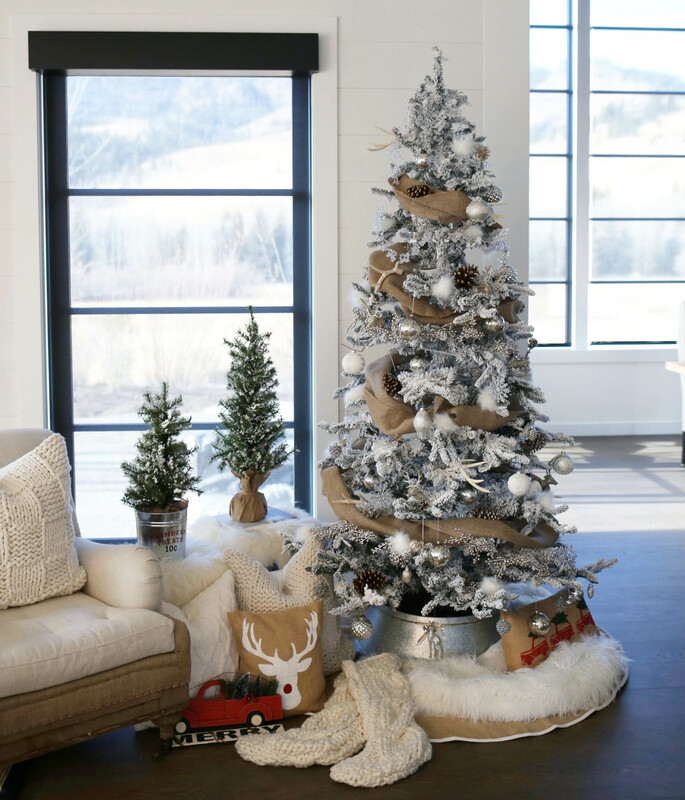 Share the post "Farmhouse Christmas Tree"